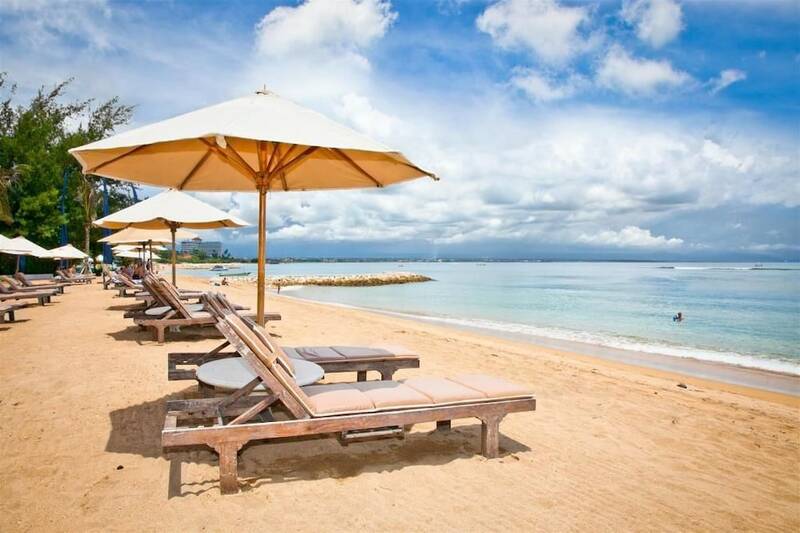 The most popular budget beachfront hotels in Bali serve as great alternatives to the various luxury choices available on all of the main beach resort towns. Even though they cater to travellers on a tighter budget, these hotels still provide the greatest asset of all on a tropical island holiday: direct beachfront access! Accommodation that is only steps away to the sand and the rolling surf is what everyone wants – where a myriad of water sport options await and guests can walk from the breakfast buffet out onto the early morning sand with a cup of coffee still in hand. There’s always a budget option within the busy main areas of Kuta, Legian and Seminyak, as well as the quieter beaches of Sanur and Candidasa in East Bali. 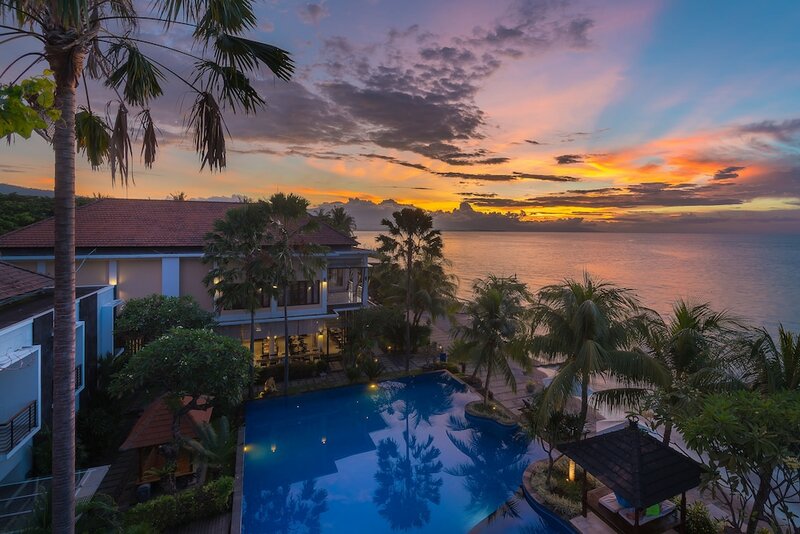 Here is our favourite cheap Bali hotels right on the beach, to help you plan your visit to Bali on a budget that won’t break the bank.